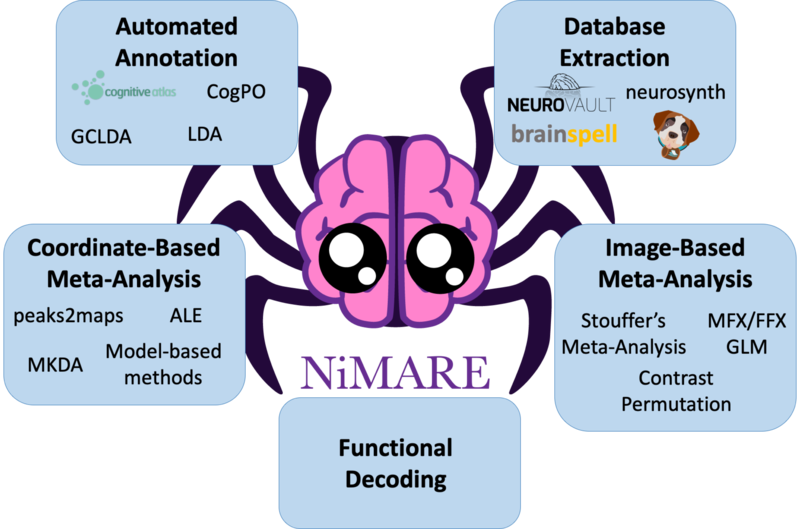 NiMARE is a Python package for neuroimaging meta-analyses. It makes conducting scary meta-analyses a dream! To install NiMARE check out our installation guide. © Copyright 2018-2019, NiMARE developers Revision 926b5e05.